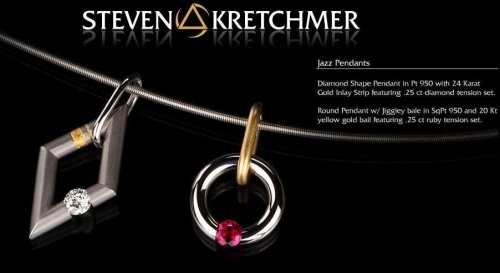 Mini Jazz Pendants - Metal choice may be selected in "drop down" box at "Add to Cart" area. 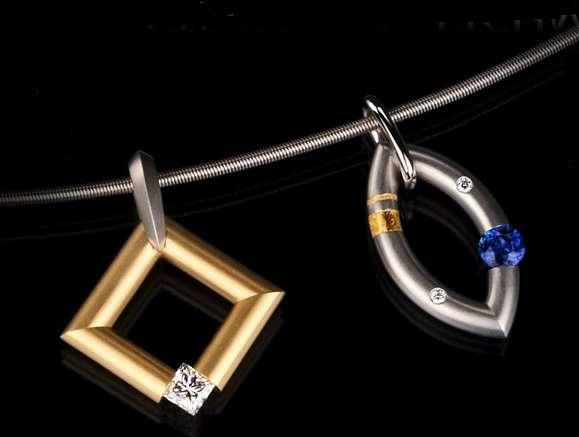 Includes one 4.0mm round, brilliant diamond center (0.25ct). 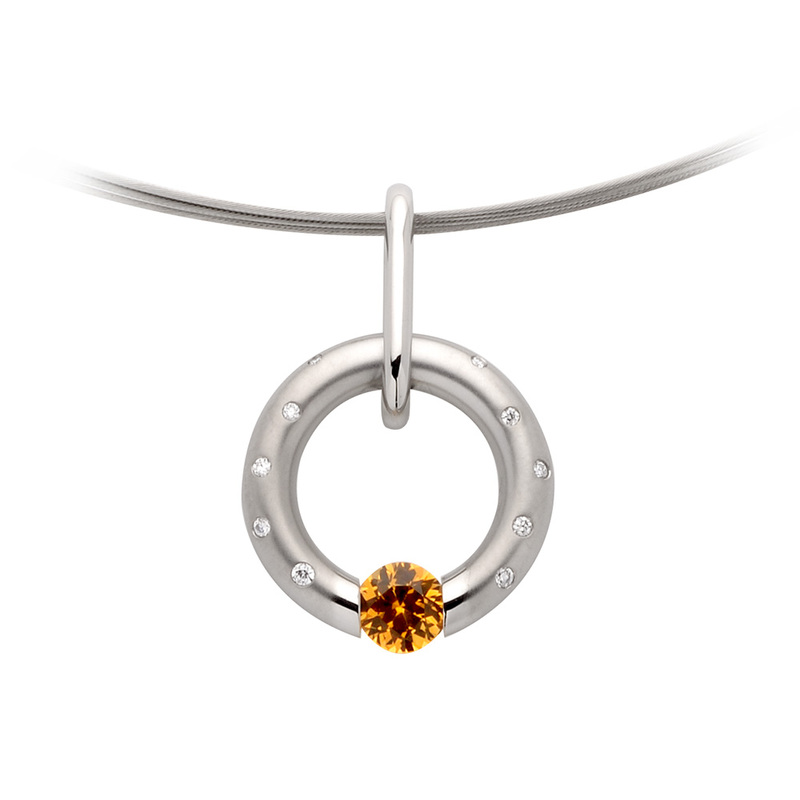 Mini-Mango style also includes two 0.01ct side diamonds. None of the prices include a chain. $2,800 ranging up to $3,350. 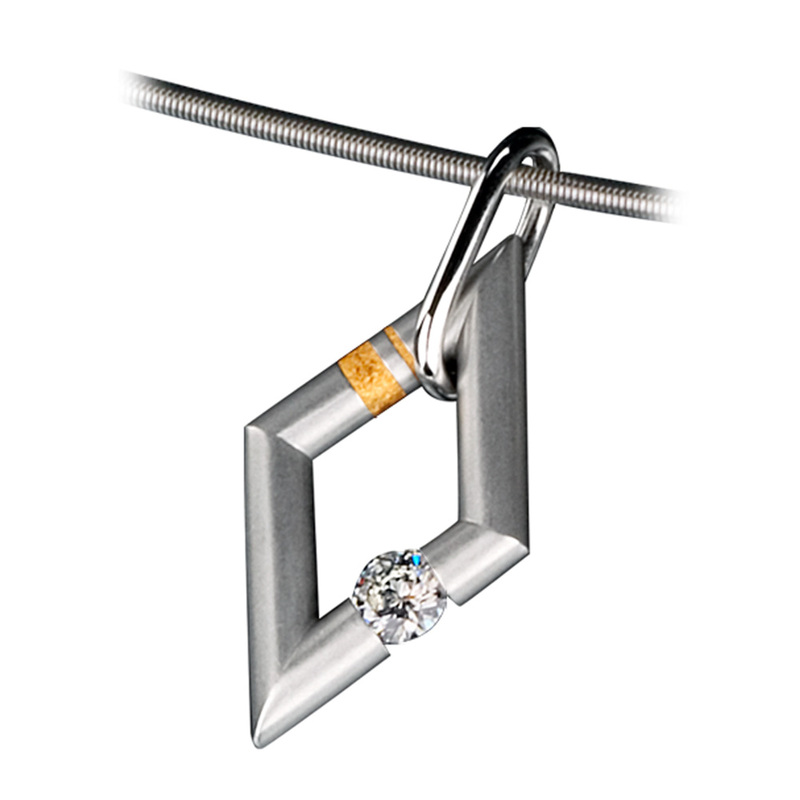 4.0mm diamond center and 2 0.01ct side diamonds included!